The growth of online retail shows no sign of slowing down, with IMRG estimating that £107 billion is due to be spent online by the end of 2014, which is putting unprecedented pressure on retailers’ fulfilment capabilities. Lee Gill, VP of retail strategy EMEA at supply chain vendor JDA, says that in addition to this, increasing competition and more demanding consumers are also forcing a contraction in order-to-receipt windows, from days to hours and even minutes. 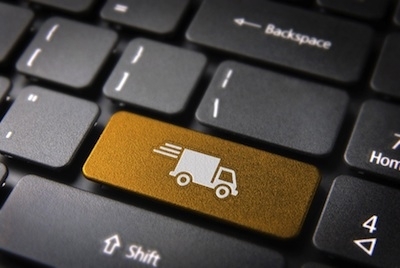 “According to recent figures, 1 in 5 consumers said they had experienced problems with online home deliveries in the past 12 months, with 61% stating they would switch retailers based on an ‘unacceptable’ online experience,” said Gill. Gill notes that popularity of these services is growing, with nearly 1 in 2 consumers having used such services in the last 12 months, citing cost and greater convenience as their primary motivations. “In fact, John Lewis boss Andy Street recently said he expects ‘Click & Collect’ to account for more online sales volumes than home delivery this Christmas,” commented Gill. Yet despite this surge, Gill feels it’s clear that a significant number of online orders are failing to live up to the brand promise of providing a seamless interaction regardless of channel. The challenge that retailers face is ensuring that they can scale their ‘Click & Collect’ services for future growth, and deliver a truly consistent experience between their online and in-store operations, according to Gill. As digital and physical supply chains converge, retailers need technology that affords optimal visibility over the goods at all points in their supply chain, according to Gill. “This allows fulfilment to take place from any inventory location in the most efficient and cost-effective manner,” he said. “Retailers need to begin re-engineering supply chains into a fulfilment network. For example, truly efficient order fulfilment might come from a DC, from a store, or even from a returned item. “What’s more, retailers need to make sure that they always have the right staff, in the right place, at the right time, in order to meet these new service requests. Gill feels that by using advanced demand and fulfilment tools alongside labour management solutions, retailers can make intelligent and efficient decisions about where to source inventory from and where to position their people in order to effectively fulfil customer orders. “Luxury brand Mulberry is using demand and fulfilment solutions to ensure timely product availability and to have better visibility of inventory,” he explained. “This has enabled the company to drive operational efficiency and improve customer service levels, through having a more responsive supply chain.